… and worked their way down to the smaller stuff. With leaves on the trees in October, it was hard to see the new nest when one of them flew in –> see Gerry Devinney’s video, 6 Oct 2018. 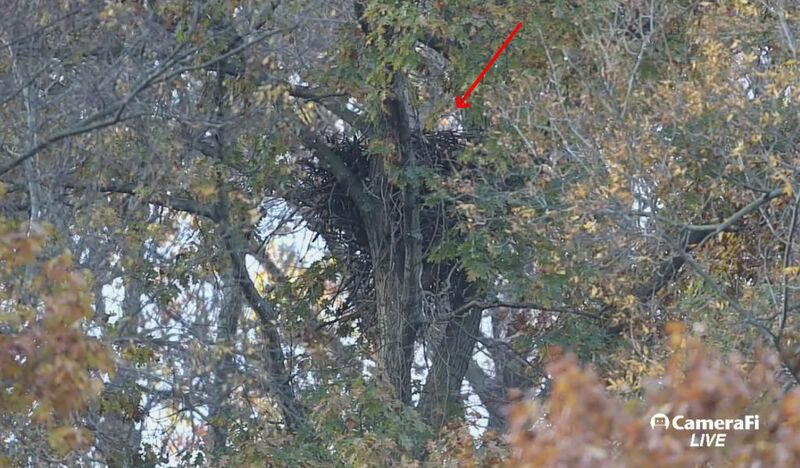 By last Sunday, 11 Nov 2018, a gap in the trees revealed an eagle on the nest. 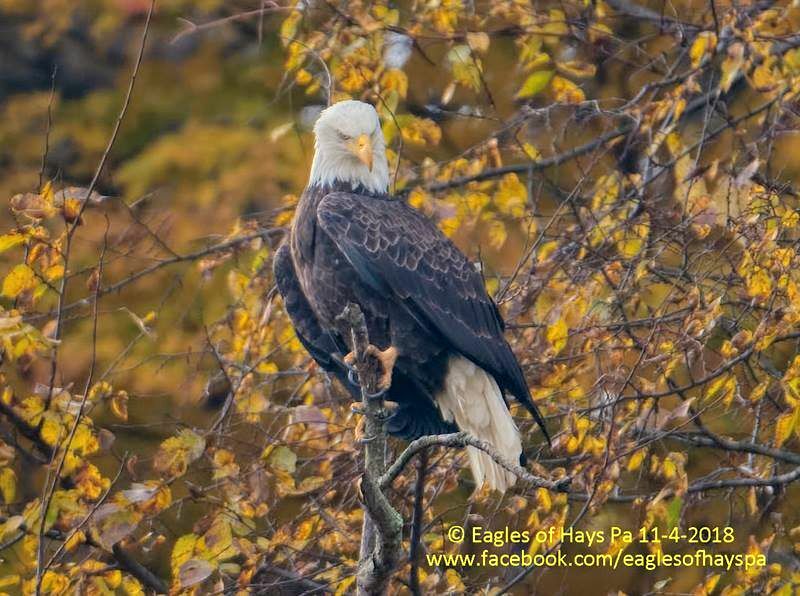 Click the screenshot below (arrow added) or on the caption to see Dana Nesiti’s video from Eagles of Hays PA Facebook page. 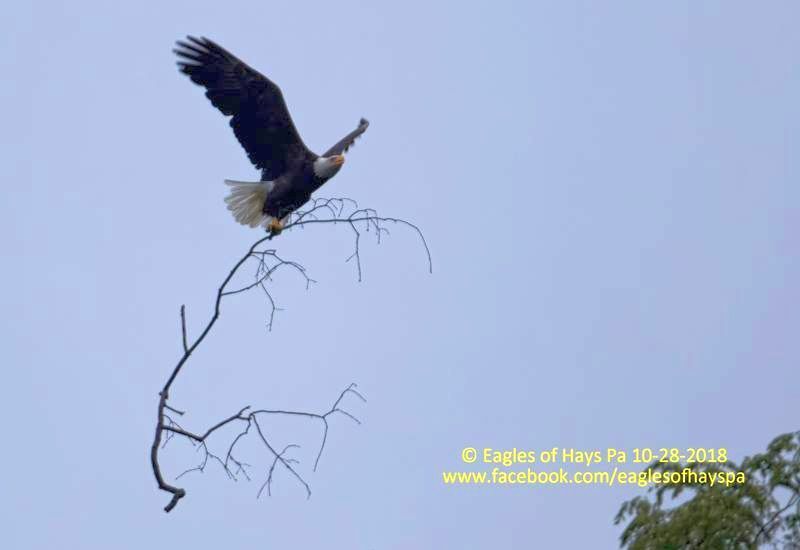 Hays isn’t the only site where nest renovations are in progress. 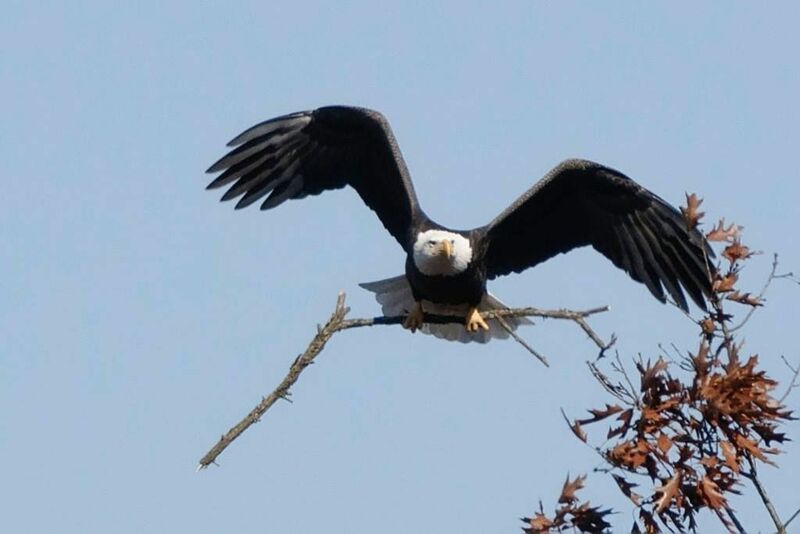 The eagles at Canonsburg Lake in Washington County have been bringing sticks, too. 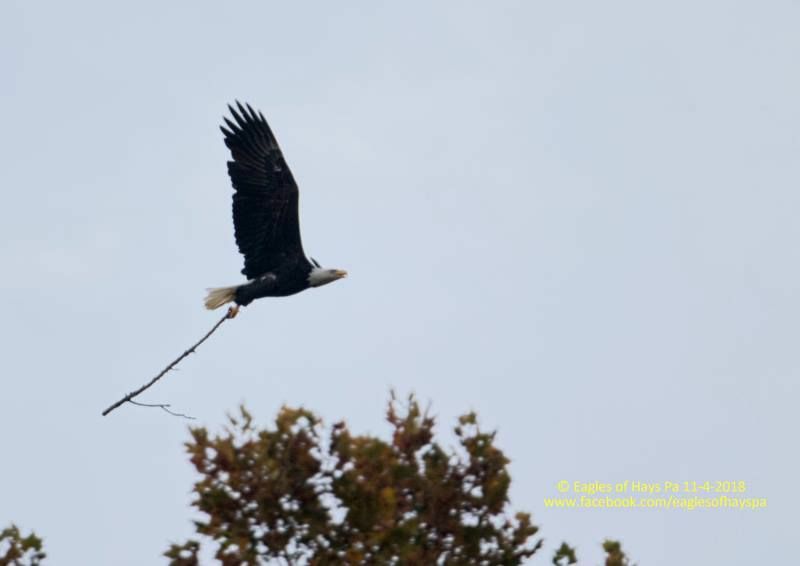 Rich McPeek caught one in the act on Veterans Day and posted it on the Canonsburg Lake Eagles Facebook page. 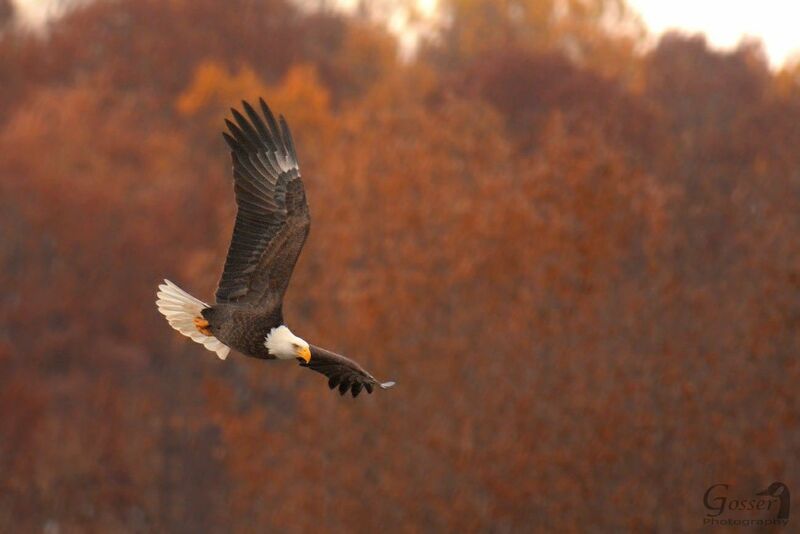 And in Butler County, Steve Gosser found this adult bald eagle cruising at Moraine State Park on Veterans Day. Harriet laid her first egg at the Fort Myers nest cam.